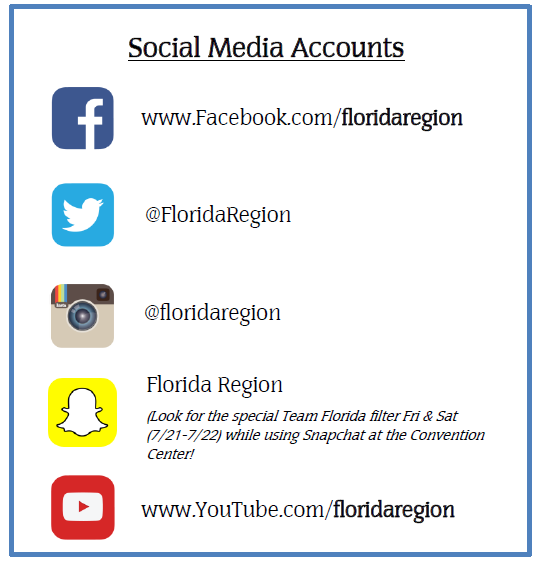 TEAM FLORIDA PARENT INFO PAGE AND F.A.Q. Please find a list of frequently asked questions below. Continue to check this section for additional questions being added. Q: How much does the Team Florida program cost? A: FOR FEMALE ATHLETES: The tryout fee is $65. After the coaches have evaluated tryouts, they will select athletes to attend Selection Camp. Athletes must attend Selection Camp to be considered for a final spot on the team Florida roster. Selection Camp is $250. Once an athlete makes the final team, the team cost is $750. Please visit the Selection Camp website for more information about the camps. (CLICK HERE). A: FOR MALE ATHLETES: *NEW IN 2019* Team Florida Indoor HP All-Stars is making a change to the boys' program. Male athletes interested in being on the final team roster will attend an all-encompassing Team Florida Indoor HP All-Stars Boys' Tryout on June 7, 2019. This tryout will serve as the only route to being selected for the final roster and is mandatory to attend to make the final team. Once an athlete makes the final team, the team cost is $750. Please visit the Team Florida Indoor HP All-Stars Boys website for more information about the camp. Q: What notarized medical release form is accepted? A: Athletes may bring a current season notarized medical release form that has been copied or may fill out another one. There will be a notary present for those who do not have one, but the parent must be present to sign the form. ​Q: What is the progression? A: FOR FEMALE ATHLETES: Athletes will attend a tryout during January, February or March. Once tryouts are completed, the Florida Region will post Selection Camp selections in April. Final team selections will be made from the athletes that attend Selection Camp. Please visit the Selection Camp website for more information about the camp (CLICK HERE). Q: What teams will the Florida Region be fielding this year? A: We will have five teams total and each team will field 12 athletes. Q: Once the team is selected, will there be practice? A: Athlete attendance is required July 16-22, 2019. The entire delegation will have practice before the HP Championships in Ft. Lauderdale. Q: Are parents allowed to watch tryouts, camp, and the USAV HP Championships? 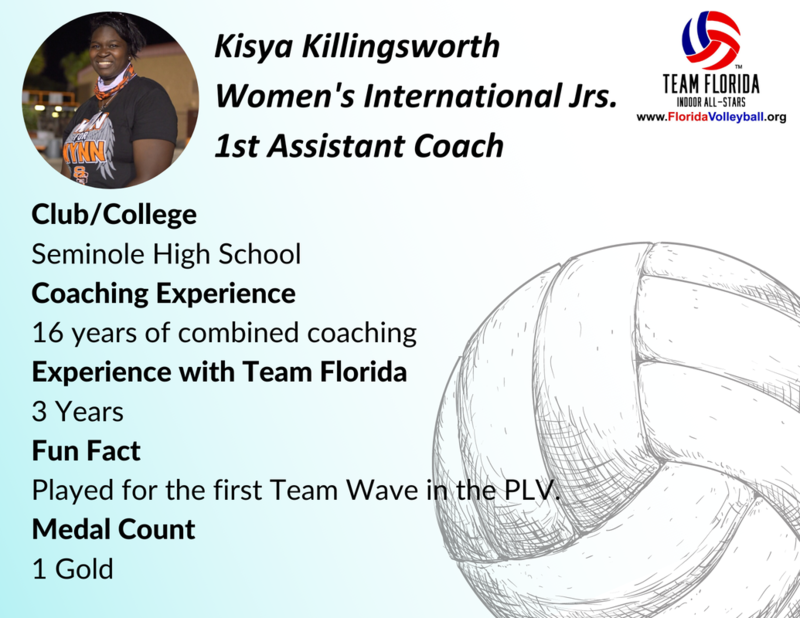 A: Yes, we welcome parents to attend any Team Florida tryout, camp and the USAV HP Championships as spectators. Q: What are the program guidelines? Q: What is the playing schedule? A: Once available, the playing schedule will be live on AES (www.advancedeventsystems.com). There is also an AES app for your cell phone that you can use to track the schedule and results on your phone. When you get to the AES website/app you can find the schedule by going to SCHEDULES or SCHEDULES & RESULTS and then the event will be listed under the Current Tournaments/Current Events. Q: Are parents able to "check-out" an athlete? A: Team Florida will remain together as a team throughout the duration of the event. Parents are welcome at attend the matches as spectators. Coaches/athletes will plan a team dinner each night. Coaches/athletes will communicate dinner information to the parents and the parents may join if they wish. Q: How much money should an athlete bring for dinner? A: We suggest each athlete has $20-$25 each night for dinner. There are many options in walking distance from the hotel. Q: Can parents book at the same hotels? Q: What gear is being provided and what gear do athletes need to bring themselves? We will be laundering the above items during the duration of the event. Undergarments to sustain the duration of the event. Undergarments will not be laundered. Please have the athlete bring proof of their date of birth. This will need to be placed in their backpacks at all times. Examples include: Copy of their birth certificate, copy of their driver’s license, copy of their passport, or copy of any government issued ID.